The Supreme Court can do precious little to solve the law and order issues in Jammu and Kashmir and its best resolved through political dialogue of the kind happening between the Prime Minister and the Opposition parties, Chief Justice T S Thakur-led bench told J & K Panthers Party chief and lawyer Bhim Singh today. “Since the issue has certain dimensions, we cannot solve it judicially. Why don’t you take part in the political discussions. Opposition leaders are meeting the Prime Minister. You also go”, CJI Thakur told Singh who has filed a petition in the apex court seeking a direction to the Centre to impose Governor’s rule in the strife torn state citing worsening of the law and order situation following protests after the killing of Hizbul chief Burhan Wani. “Situation is really bad. People continue to live in the shadow of the gun”, Singh repeatedly told the CJI. The SG in a status report filed earlier in the court said the number of violent protests which erupted after the killing of Hizbul Mujahideen commander Burhan Wani has gone down from 201 on July nine to 11 on August three, the Centre told the Supreme Court today claiming that the law and order situation in KashmirValley has “improved considerably”. “In view of the improving situation, curfew had been lifted from most parts of the Valley on July 30”, he had told the bench. 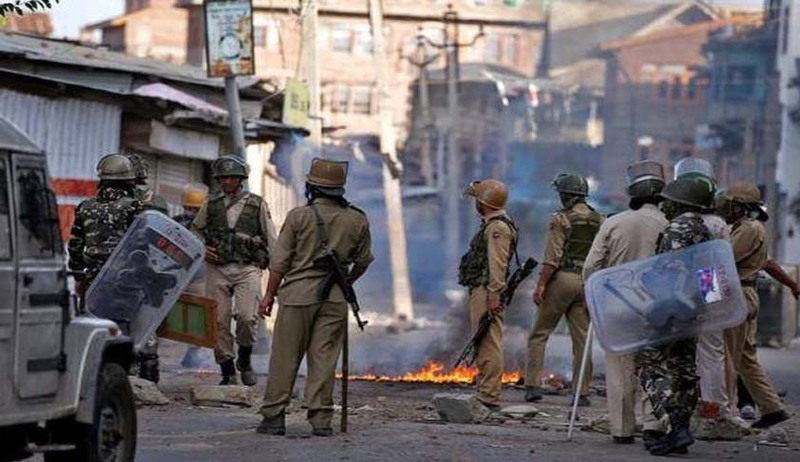 Kumar, referring to the report, said “curfew is in force only in certain areas of three districts in the Valley. However, due to persistent efforts of the security forces/Jammu and Kashmir Police, the situation has shown remarkable improvement, with the number of incidents declining progressively since the outbreak of violent protests and clashes. Compared to 201 incidents on July 9, 2016, only 11 incidents were witnessed as on August 3, 2016”, Kumar said, adding that a total of 872 incidents of violence were reported mainly from south Kashmir and parts of central and north Kashmir.